Here at Union Room, we pride ourselves on being able to deliver quality websites. These will not only meet the needs of the client, but are striking and impactful too. We began this project by sitting down with Yorkshire-based OpenCRM, who provide CRM solutions to a wide-ranging customer base, to discuss their needs as they looked to refresh their digital presence. The client wanted to stand out against its rival and present itself as the only alternative to a more expensive service, with all the same features and more. The current OpenCRM site needed consolidating and cleaning up. The project’s aim was to deliver a concise, punchier message that was honest and open. This would ensure that customers knew they were getting the best features, coupled with world-class customer service. The new website needed to reflect a modern, progressive company, but also OpenCRM’s quirky personality and approachability. Union Room were tasked with creating a contemporary design that would be easy to navigate, allowing users to focus on the brand’s key messaging. 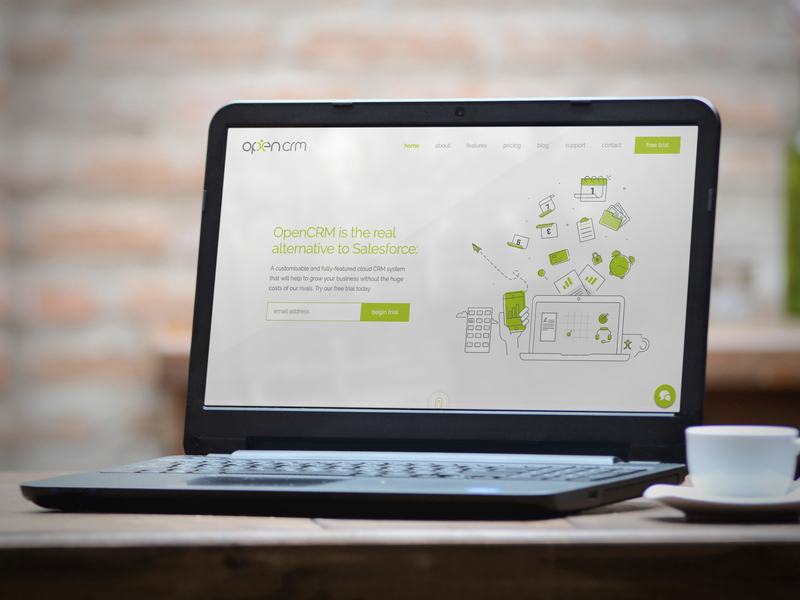 We created a bespoke style to help refresh OpenCRM’s brand. This focused on a new illustrative design that would continue beyond the homepage and across the entire site. On tablet and desktop versions of the homepage, the illustration springs into life with subtle, but appealing animation. This offers the user more impact when they first land on the site, but achieves this without distracting away from clear calls to action and key messaging. The new style prominently highlights the company’s key values and presents the product offering in a simple, informative way. Is your site due a refresh too? Get in touch with us and take the first steps to upgrading your digital presence.